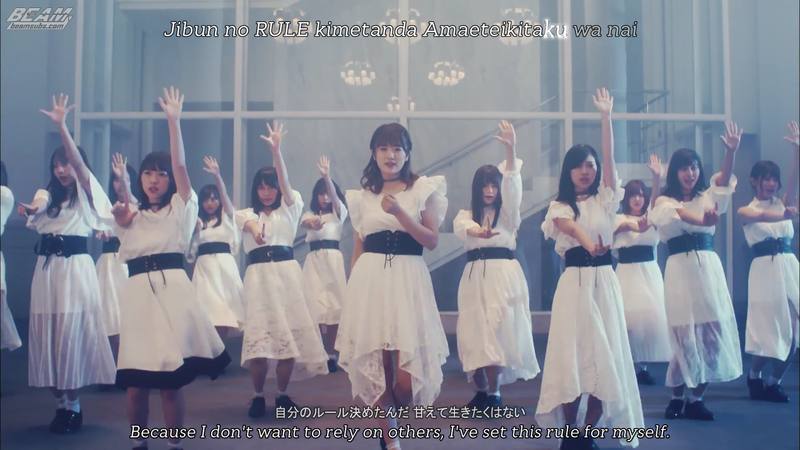 The Under Members' beautiful music video from Nogizaka46's latest single! An inspiring song about not having to rely on others and confronting things with your own strength. El hermoso video musical de las Under Members de Nogizaka46! Una canción inspiradora que habla de no tener que depender de otros y confrontar las cosas con tu propia fuerza. hi team beam, will you guys be subbing the 3rd gen boku no shoudou? Not as of right now. Though that could always change considering this song wan't in our plans either. Have you heard about nogibingo 9? Yes. We are subbing the whole season weekly as always!